As an Xer, I think I speak for my generation when I say that is a stupid idea. Generation X works within the time constraints of reality by developing their own structure, systems and rules in a scrappy, purposeful way. Our rule is simple: There is no structure—so make it yourself, do perfect work, or lose your job. My unscientific, anecdotal observation is that Millennials are kind of awesome. Generally speaking, Millennials really, really want to do the right thing. They want to achieve their goals, they are committed to the company, and they don’t want to let anyone down. In other words, their intentions are good. In fact, their intentions are probably better than yours when you were a new GenX worker. For Xers it was just making it through the day to get your paycheck. If these chipper young professionals are so dedicated, why do they struggle with time management and meeting deadlines? Because their personalized parental unit helicopter dropped them in a vast work ocean of unscheduled days. As children and young adults, their days were scheduled full of activities and events, with parents, coaches or teachers telling them what to do and when. In an unintentional perversion of outcomes, the adults in their lives micromanaged them, but never taught these Millennials how to micromanage themselves. So then they get to work and they are set adrift without helicopter Mom and Dad. 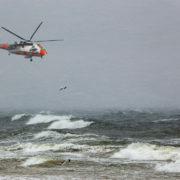 As a manager, you need to pull off a rescue operation—to get the Coast Guard and get them on solid ground. There is some really simple stuff you can do directly with them. One thing is to introduce a structure for prioritizing tasks and projects. Have them organize their to-do list by “urgent/important,” “high priority” and “low priority” based on their deadlines and the importance of the task. Also, help them see how they can break projects down into smaller pieces. The feeling of accomplishment itself can spur Millennials to keep going. Breaking down large projects into their smaller component pieces can make these tasks seem less overwhelming, help Millennials prioritize and encourage them to keep moving forward. The positive feeling of crossing something off the to-do list feeds their need to achieve. Promote teamwork and communication. Millennials need to have a good understanding of how their tasks and projects affect other members of the team, the company and the company’s mission. Because Millennials are team-oriented, they may find motivation in understanding how their contribution matters to others. There are a zillion companies that can help you with time management. Pick one to provide the proper resources and training for this critical topic. As an Xer, your training took place on the street, with trial and error. As a young worker in the 90’s, I remember discovering the Franklin Planner system from a colleague, which was a huge breakthrough in my career. For Millennials, it will help if they are taught in structured, classroom setting to be effective and productive with their time. Millennial are good students. They didn’t skip classes like you did. If you schedule it, they will come. Some workplaces have incorporated “gamification” into their workflow, rewarding employees for meeting incremental goals or deadlines and promoting teamwork to accomplish large projects on time. Many of these work gamification systems are available as mobile apps, allowing Millennials to be productive no matter where they work. For individual time management, Millennials may respond well to cross-platform apps. The app you recommend may depend on the challenge Millennials are facing. If they suddenly realize hours have passed and they don’t know where the time went, try Rescue Time. As a training tool, the app will send weekly reports with feedback on what tasks are “stealing” time, and it provides accolades when the user makes improvements. If they just need help focusing, Focus Booster is modeled on the Pomodoro method, with timers for “focus time” and “break time.” For the environmentally-minded, the app Forest lets users plant a virtual tree and watch it grow the more productive the user is at work. Bottom Line: Help them with the training, skills, and tools they need for time management… then, and only then can you get out of their way and do your happy dance.